British scholar Alan Johnson, a former professor of democratic theory and practice at Edge Hill University, recently published a 135-page report that concludes that the Labour party is institutionally antisemitic. The title is unequivocal: Institutionally Antisemitic: Contemporary Left Antisemitism and the Crisis in the British Labour Party. Johnson cites many cases to substantiate his arguments, and they are damning for the party. They include continuing cases of Labour failing to safeguard its Jewish members and failing to educate its members about antisemitism. The party also exhibits a refusal to attempt to understand and empathize with the Jewish experience. Labour does not effectively deal with antisemitism, but instead makes overly tolerant decisions with regard to individual cases. Johnson also notes that Labour has not put a stop to the party’s culture of antisemitism denial and victim-blaming. Several developments after the publication of the study provide additional illustrations of how ineffective Labour has been in dealing with antisemitism. The Metropolitan Police announced that they had arrested Labour party members for disseminating antisemitic social media messages. One case involved a party member who posted on Facebook that a “Jewish Labour MP would be beaten.” A Labour councilor was accused of inflicting “ten years of hell on a child. He called him a ‘Jew boy.’” In a third case, a party member threatened in a social media post to throw two MPs off the top of a building. On March 31, the Sunday Times reported that last year, Laura Murray – a top adviser to Corbyn – blocked the suspension of one of the three arrested party members. Johnson is not alone in his claims about institutional antisemitism in Labour. The JLM has referred the party to Britain’s Equalities and Human Rights Commission (EHRC). The EHRC initially gave Labour two weeks to provide a satisfactory response. On March 25 this was extended for another week. The EHRC had already said that it believes Labour may have “unlawfully discriminated against people because of their ethnicity and religious beliefs.” If the EHRC decides to launch a formal human rights investigation against Labour, it could force the party to disclose details of its handling of antisemitism cases. This may include revealing internal communications such as emails and texts. The Sunday Times has since published leaked internal data from Labour that show that the party failed to take disciplinary measures against hundreds of its members accused of antisemitism. If the underlying information were to be passed to the EHRC, it is hard to see how a full investigation of the party by that body could be avoided. In April the JLM almost unanimously passed a motion of no-confidence in Corbyn. The Labour Party has 500,000 members, enough people to fill a medium-sized city. Yet when the party receives complaints about antisemitism, they mainly concern elected officials or activists. These represent only a small portion of the party’s members. Many dues-paying antisemites are not easily identifiable as Labour members. 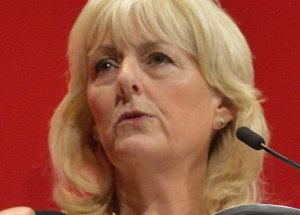 Several Labour MPs have said they believe the party’s General Secretary, Jennie Formby, was intervening to protect members accused of antisemitism from punishment. She was forced by MPs to provide details about antisemitism complaints and the party’s actions against it. The numbers that were released would have been shocking concerning anti-Jewish hatemongering in a city, let alone for a town equal in population to the much smaller number of Labour activists. Formby revealed that the party had received 673 complaints in ten months about acts of antisemitism by its members. This covered the period from April 2018-January 2019. She said 96 members were immediately suspended from the party, yet only 12 were expelled. Later, it became known that six additional party members had received other sanctions and five had left the party of their own accord. In a meeting of the parliamentary Labour Party, Formby said twice that it was impossible to fully eradicate antisemitism from Labour. She said, “I don’t think that anyone can ever say that we can eradicate antisemitism completely and stop every single person….every single day someone else could join the party and tomorrow do something.” This was a transparent effort to deflect criticism of antisemitism among existing members. It is likely that quite a few have been in Labour for a long time. Labour is Europe’s largest socialist party by membership. What makes it unique among these parties is that so much of its antisemitism targets Jews and not only Israel. It is not difficult to find anti-Israelism among leading figures in a variety of other European socialist or social democratic parties. When Sigmar Gabriel was leader of the German SPD and the country’s foreign minister, he accused Israel of apartheid. It took him months to apologize. The Norwegian Labour party leader and former FM Jonas Gahr Stoere called Israel an “apartheid state” after the Nation State Law was passed in the Israeli Knesset. 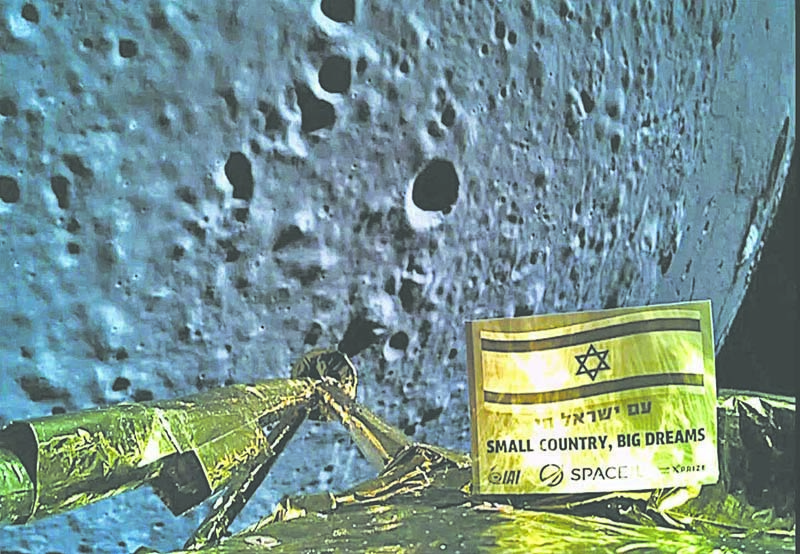 Earlier, he wrote a back-cover comment praising a book by two Norwegian Hamas supporters who claimed that Israel entered Gaza in a military campaign to kill women and children. Many more similar examples can be added from other European socialists. Yet in none of the other socialist parties do we find major antisemitism targeting local Jews. There are other, more far-reaching questions that should be asked. In quite a few of the European populist parties there is far less antisemitism than in Labour. As Israel doesn’t boycott Labour, why would it boycott these parties? The ultimate question concerns the US. What does it mean that Democratic presidential candidate Bernie Sanders calls himself a socialist and in his previous campaign surrounded himself with a variety of problematic figures? This pattern seems to be recurring in his current campaign. Two of Sanders’s advisors have an anti-Israel record. A press aide of his campaign wondered aloud whether American Jews have a dual loyalty with Israel. She has since apologized. Sanders is not an antisemite. Yet his defense of Congress member Ilhan Omar, who has made antisemitic comments, raises doubts about where he truly stands. Dr. Manfred Gerstenfeld is the emeritus chairman of the Jerusalem Center for Public Affairs. He was given the Lifetime Achievement Award by the Journal for the Study of Antisemitism and the International Leadership Award by the Simon Wiesenthal Center.